Now that I have been restored to life politically, I am making my first visit to Chennai and my constituency in nearly nine months. It has been a most eventful nine months, with the jailed Sasikala's nephew, TTV Dinakaran, following up his massive win in Jayalalithaa's vacated RK Nagar seat in Chennai by launching his own party, the Amma Makkal Munnetra Kazhagam (Amma People's Progressive Party). By all accounts, it is draining a stream of workers (and some leaders) from the mother AIADMK as Dinkaran tirelessly tours the state, while the rump EPS-OPS AIADMK hangs together in the sound conviction that if they don't hang together, they will assuredly hang separately. Kamal Haasan continues to delude himself into believing that cinema fan clubs constitute a following for his newly founded party. It is perhaps in consequence of some instinctive or subterranean understanding of this that continues to keep Rajinikanth hesitant over when (or, indeed, whether) to actually launch his separate outfit. Meanwhile, the BJP continues its endless quest to find a foothold somewhere in the state. But the overwhelming development has been the demise of Kalaignar Karunanidhi, the most dominant figure over the last half-century in the politics of Tamil Nadu. There was some apprehension that if the feud within his family were to erupt into a major political collision, the DMK might go the AIADMK way and splinter. There was a ready-made rebel leader in the wings champing impatiently at the bit, MK Alagiri, the elder brother of MK Stalin. 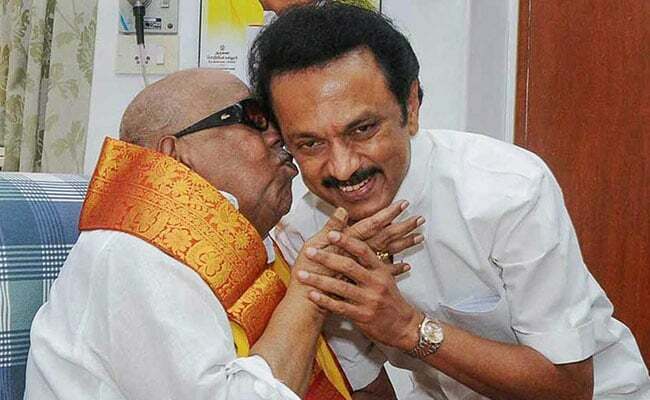 Temperamental and short-tempered, he has deeply resented the rise and rise of his younger brother and quarreled so incessantly with his father over Kalaignar's clear preference for the younger son that the patriarch was eventually left with little alternative but to expel Alagiri from the party in 2014. Alagiri returned to his home in Madurai to cultivate his alleged stronghold in the "deep South". 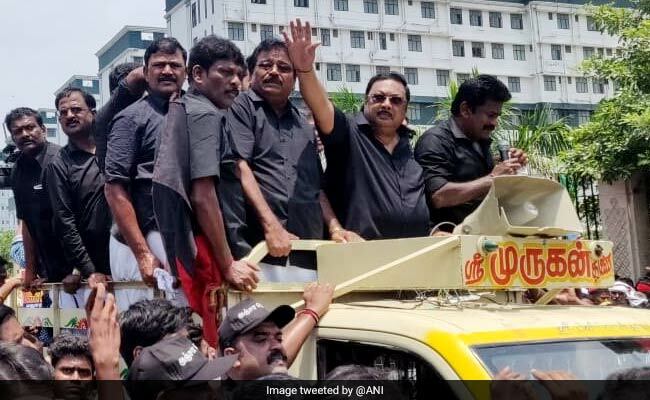 When, therefore, the DMK voted unanimously vote to formally elect Stalin as the successor to his father late last month, the expectation was that the rally Alagiri announced he would be taking out on September 5 to mark one month of the passing away of Kalaignar would be Alagiri's first shot across the bows at his younger brother. Yet, intriguingly, Alagiri's principal demand was not to break from the DMK to form his own rival party. His demand instead was to be allowed to come back into the DMK! Stalin was not amused. He knew that within the DMK, Alagiri might prove a very disruptive force; outside, he would not present much of a challenge. That seems to have been an accurate assessment, for against the vaunted figure of 1-1.5 lakh participants in the rally, The Times of India (Chennai edition) reported in its headline that "hundreds" flocked to the rally. The New Indian Express sub-headline left it to the "cops (to) say only 12K-15K participated". Sticking to his claim, however, Alagiri thundered, "1.5 lakh people have come for the rally. 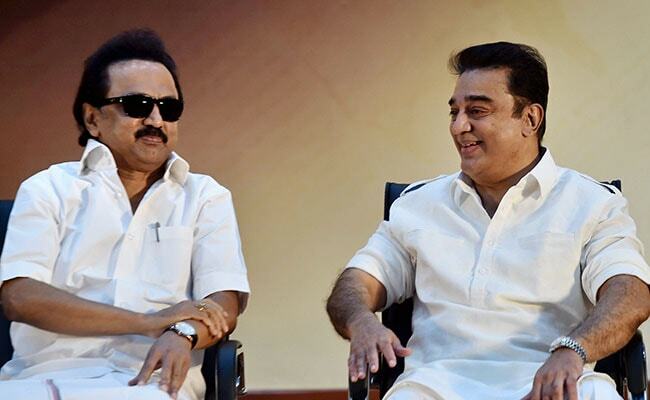 Can they (the newly elected successor leadership of the DMK) expel all of them?" Stalin did not deign to reply. Alagiri remains expelled from the DMK. Chennai has always been a DMK fortress. It was the wrong place for Alagiri to have attempted a show of strength. True, he had brought in "hundreds" from Madurai and other parts of the state - but there is a limit to how many he could bring in by bus or train. The rally could have sent a politically meaningful message only if DMK supporters in their "lakhs" had shifted allegiance from Stalin to Alagiri. That was never on the cards. Alagiri has had to return to Madurai rejected and rebuffed. Stalin's party is, therefore, the clear winner. He has consolidated his hold over the cadres. He has legitimized his succession. There is no challenge within his flock to his leadership. The contrast between the splintered AIADMK and the united DMK could hardly be more stark. Yet, the BJP continues to fish in troubled waters. The New Indian Express report cited earlier quotes "sources" saying, "Alagiri may find support from a national party to float his own outfit". That "national party" can only be the BJP. 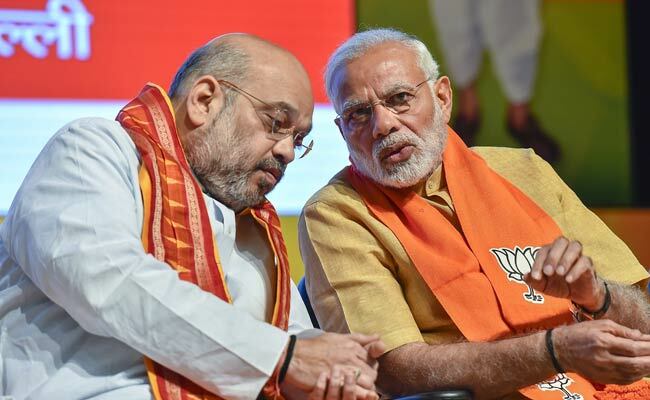 Amit Shah's desperate attempt to find a foothold in the state by hook or by crook is simply not taking off because even the various factions of the AIADMK find the BJP an embarrassment; Dinkaran is behind none in denouncing the Modi government; Kamal Haasan has firmly ruled out having any truck with Modi-Shah; and, for the DMK-Congress, of course, the saffron duo are anathema. 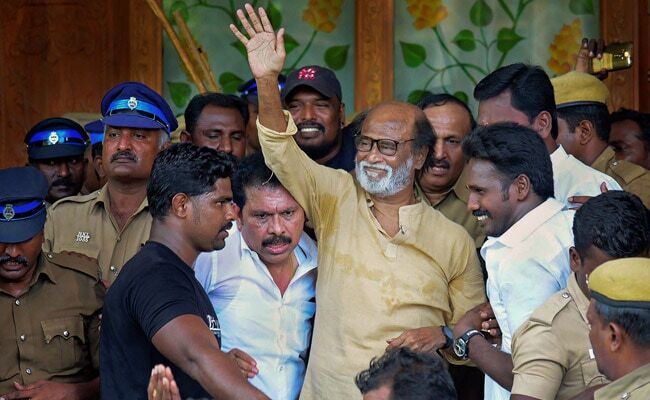 That leaves Rajinikanth. 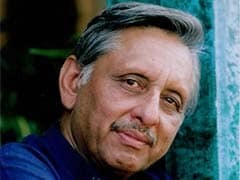 He sometimes give hints of being ready to play footsie with Hindutva but perhaps the major reason for his not making good on his repeated pledge to float his party is that the fantasy of a tie-up with the Sangh Parivar has proved much more of an electoral liability than an asset. Hence, the biggest loser in all this is less the AIADMK or Dinkaran than the BJP. There are 39 seats for the taking in Tamil Nadu in the forthcoming Lok Sabha elections. That number goes up to 40 when Puducherry, a solitary Congress hold-out, is added, as it should be.With one major pollster having taken me into confidence, subject to my not revealing his identity, that the Akhilesh-Mayawati-Ajit-Rahul combo (the Kairana combination) will result in Modi's seats in Uttar Pradesh tumbling from 73 to just eight, Tamil Nadu becomes the second-most important state after UP to determine the outcome of the forthcoming 2019 general election. We do, on the other hand, have a public poll done by one of Tamil Nadu's leading media houses, the Dina Thanthi (which translates as "The Daily Telegraph"). The survey was aired on July 24, 2018, before Kalaignar's passing away. Its stunning finding was that the DMK-Congress combine would secure 41 per cent of the vote, leaving the AIADMK trailing at 25 percent and Dinakaran at 8 percent. The BJP was predicted to secure a flattering 3 percent of the vote, the lowest in the field of "also-rans", that is, the aging film stars and tiny political groupuscules in which the state specializes! The same poll also showed Tamil Nadu's preferred choice for the next Prime Minister being 37 per cent for Rahul Gandhi and only 20 per cent for Modi. An overwhelming 64 per cent rated the Modi government's performance as "Not Good". The political developments since Kalaignar's death, outlined above, would have shifted these figures even more firmly in the DMK's and Rahul's favour. The BJP hoped their courting of the AIADMK factions would yield them some electoral dividend. While EPS-OPS did come to the BJP's aid in contested legislation in parliament, the no-confidence vote, and the election of the Deputy Chairman of the Rajya Sabha, they know political suicide would be the outcome of their being seen as a Tamil Nadu outcrop of the BJP. Indeed, even Jayalalithaa, despite aligning with the BJP in 1998, found her association with the saffron forces such a political handicap that at first she baulked at lending her crucial support to Vajpayee to become Prime Minister, resulting in Jaswant Singh being rushed to Poes Garden to attempt some gentle persuasion (in which he temporarily succeeded) - only to watch her withdraw her support just thirteen months later, precipitating the crisis that resulted in the fall of Vajpayee II. Modi and Shah might cry their eyes out. Tamil Nadu wants no truck with Hindutva.